We are situated 35 minutes north east of Malaga city in a beautiful corner of Axarquia, a lesser known region of Andalucia. Within 30 minutes you can drive south to the coast and north to the mountains and the nearest lake is 15 minutes away. You can walk straight out along the many trails that lead across the hills and down to the river passing the goats along the way. You can stroll through olive and almond groves, walking by the citrus orchards shaded by the tall eucalypus trees. You can stop to picnic under an ancient cork oak and follow the path into the village or simply rest and watch the world go by. You can drive along quiet meandering roads to visit some of the region's famous white villages. There are plenty of places to stop for tapas - overlooking the lake, the sea, the mountains or the natural park. Further afield but still within the hour there are the Torcal mountains with their spectacular rock formations, the Caminito del Rey at El Chorro and the beautiful pine forests of Malaga's natural park. 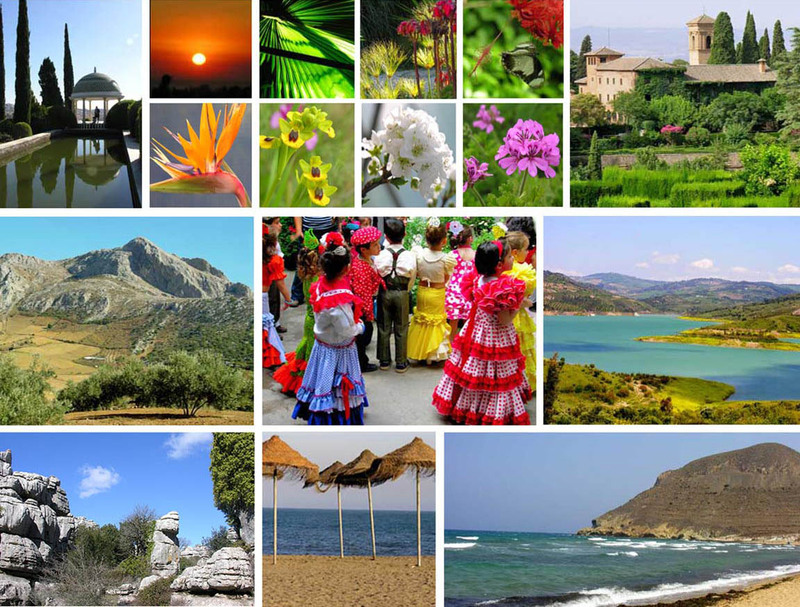 Drive into Malaga for a taste of Andalucian city life which is friendly, colourful and unspoilt - it also has loads of museums, art galleries and other sights to see. 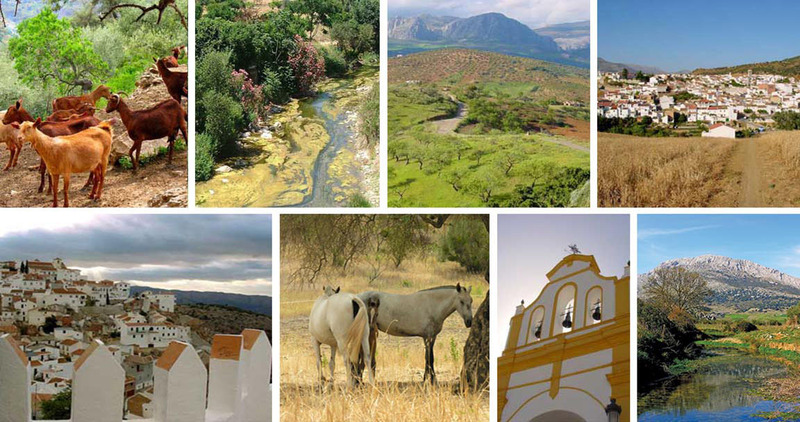 Further afield some of Spain's great monuments are within a 90 minute drive - the Alhambra at Granada, the Mesquita at Cordoba, the famous gorge at Ronda...and Seville around 2 hours - closer to home, in Riogordo and Colmenar you can also find small museums of local rural life.